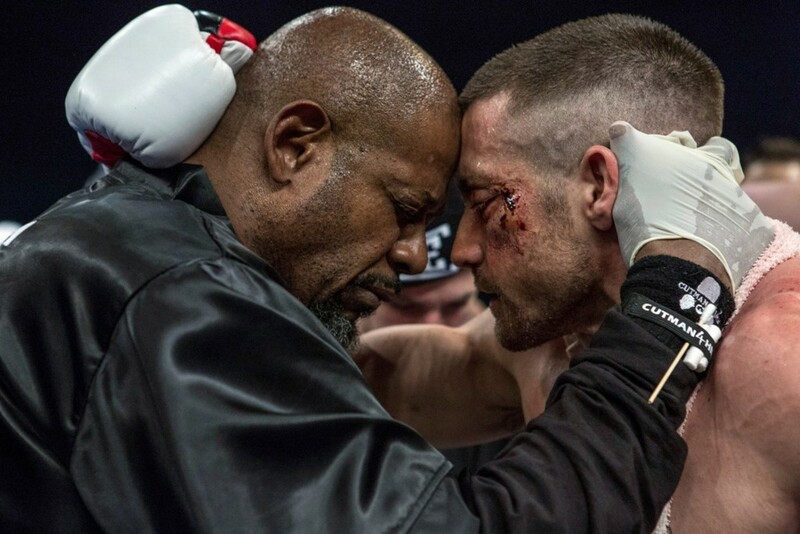 In the visceral boxing drama Southpaw (Weinstein), a seasoned trainer tries to convince a broken-down fighter that boxing is more mental than physical. A successful practitioner of “the sweet science” must use his head and strategise. Thinking is more important than punching. No doubt, boxing has a cerebral dimension. Fighting smart, at least smarter than one’s opponent, is better than the alternative. But the express aim of the inherently violent game is to hurt the other guy physically; out-thinking him is a means to inflicting more bodily damage than you receive. If the viewer comes away believing that anyone who chooses to box is not very smart or, rather, is opting to use his or her head in the dumbest of ways, it doesn’t mean Southpaw is a failure. On the contrary, it is so effective at depicting the toll exacted by the sport that boxing becomes a source of fascination, no matter how seemingly irrational and barbaric. As in most boxing flicks, boxing is both the problem and the solution – the source of the protagonist’s woes and the vehicle for his (or her) redemption. And yet, because violence is at the root of the game, Southpaw is inescapably, if not completely, problematic on a moral level. Also, the audience is pummelled by a near-constant barrage of profanity. The advice about using one’s mind instead of wildly unloading on your adversary is offered to the title character Billy Hope, light-heavyweight champion of the world. Played by a chiselled Jake Gyllenhaal, Billy is first seen preparing to enter the ring for a major bout. According to the rap song (written and performed by Eminem) blaring on the soundtrack, he’s a “beast”. He’s reached the pinnacle of boxing because he fights like a maniac, with no regard for his own safety. He puts up little defence and gets pulverised, but he always withstands the onslaught and finds a way to win. Billy and his wife, Maureen (Rachel McAdams), met as preteen orphans in the Hell’s Kitchen section of Manhattan. They’re deeply in love and she’s his biggest supporter. But she can no longer let him endure the punishment. She urges him to retire or at least take a break. Can he wise up and channel his sorrow and rage into productive behaviour? Humbled and emotionally fragile, he makes his way to the ratty, inner-city gym run by Titus “Tick” Willis (Forest Whitaker), a no-nonsense trainer who agrees to teach him how to protect himself in the ring and, in effect, become a smart pugilist. During the first third of the movie, director Antoine Fuqua (Training Day) does a masterful job of making the brutal allure of boxing as palpable as the bond between Maureen and Billy. Grittily realistic camera work and tremendous acting by Gyllenhaal and McAdams contribute to an atmosphere that’s both lurid and heartfelt. There’s no attempt to analyse Billy’s masochistic personality. The images, many featuring copious amounts of blood, say enough. What follows is more melodramatic and less compelling. Billy’s professional comeback happens too easily and his emotional recovery, including a painful domestic situation, is implausibly linked to his return to the ring. The all-important character of Tick is not fully formed, despite Whitaker’s solid efforts and despite getting some of the choicer lines in Kurt Sutter’s script. By telling of a man who makes his living by being violent and is brought low by a violent act, then saves himself by engaging in further, albeit more tactical, violence, Southpaw tries to have it both ways. How can a cautionary tale about violence offer violence as the answer? This question pertains to the genre tropes of boxing movies and storytelling conventions in general. It also mirrors the puzzle surrounding this anachronistic sport. How can we be drawn to boxing and repelled by it at the same time?